Government organizations operate under strict budget constraints and need business telephone solutions that are simple and scalable. An overly complex traditional phone system can muddy up critical workflows and slow down agencies to the point of near standstill. A new, updated business telephone system integrates all administrative functions into a single, intuitive interface, so your staff doesn’t need to use multiple individual tools to get their work done. Action Communication has designed and deployed state-of-the art communication solutions for numerous government organizations in the Houston area and across Texas. Our customized solutions employ user-friendly programs that allow users to complete operations in a single to a very few clicks. A new system, developed to match the specific needs of your unique organization, will allow for optimum efficiency and productivity at all times — just like any government agency should. At Action Communication, we fully understand the various communication needs of government agencies at both the state and local levels.  The Action Communication team of experienced professionals can provide your organization with a comprehensive solution that perfectly fits your needs and budget. From IP or cloud-based business telephone solutions to all aspects of cabling and technology integration, our highly trained team stands ready to install and deploy a solution that brings your day-to-day efficiency to the next level. We can work with the system you already have in place or install and implement an entirely new solution to handle every aspect of communication with associates and the public. Action Communication also offers overhead paging systems, mobile messaging, video surveillance, and more. With the Action team serving as your technology solutions partner, you’ll have greater control and a simpler way to manage various operating procedures, greatly enhancing overall productivity. Whether your staff is taking a survey or taking action after a disaster, clear and reliable communication represent critical aspects of effectiveness. Your government agency needs a scalable, affordable business phone solution that saves money and changes easily with your organization.